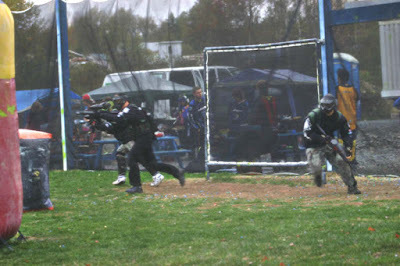 The Tippinators took to the field for their third speedball tournament at Overkill Sportz in Mount Uniacke, Nova Scotia on October 15, 2005. 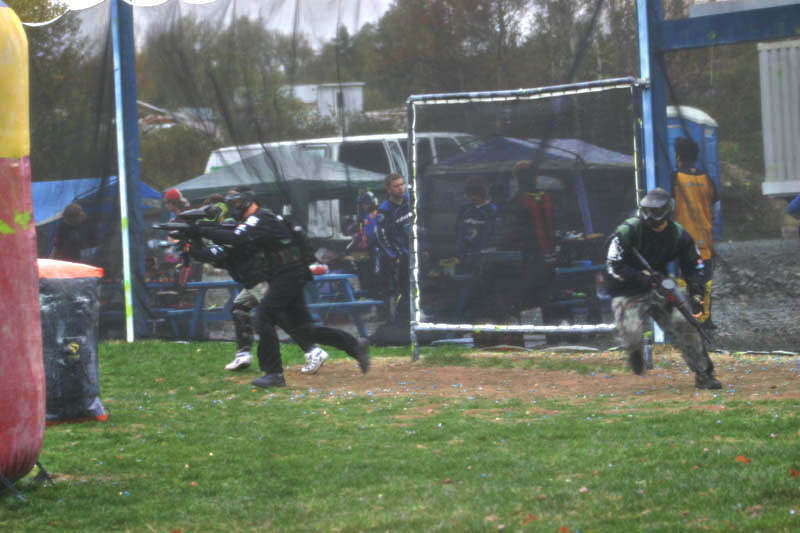 The team was excited to enter this tournament as it was a real step up in the level of play and it gave them a chance to meet an entire new group of paintballers. The team played hard all day and ended up finishing 8th out of 16 teams, a huge improvement over their first two tournaments. The day was shortened due to heavy rain but nothing could dampen the team's spirits as the trademark handshakes and joking with competitors went on all day. Even after the tournament was stopped the Tippinators were still playing for fun against any team that would come onto the rain soaked field. The points were tallied, the winners announced and much to the surprise of the team a special award was presented to the Tippinators for sportsmanship. The entire team was stunned and honoured by the award as the team had never even heard of a "Sportsmanship Award" let alone expect to receive one with so many other great players and teams in attendance. And a special award was given out today, "most sportsmanship" we asked for input from all the refs and The Tippinators came out on top, these guys just ooze class, both on and off the field, I think their team motto pretty much sums it up: "Shake hands, play hard, have fun, make new friends, remember that it is just a game."